The Pennsylvania Supreme Court stuck down a $5 million verdict in an Ethicon endocutter design defect case last week, finding that the trial court was not restricted to considering only one use of the device and that it correctly applied a risk-utility analysis. The case talks about product liability risk-utility analysis in the Restatement (Third) of Torts. You can read the court’s opinion here. 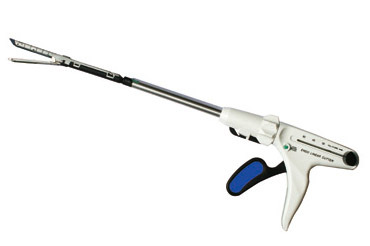 utilized an ETS-Flex45 Articulating Endoscopic Linear Cutter – called an an “endocutter” – made by Johnson & Johnson, subsidiary Ethicon Endo-Surgery (Let’s say charitably that both of these companies are frequent flyer product liability defendants.). 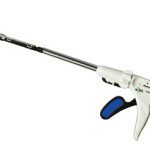 The device was designed for use in less-invasive endoscopic surgery. It also was marketed for use in traditional “open” surgery in which a large incision is used to view internal organs. After complications, Plaintiff’s doctors conducted a second surgery and discovered that staples were absent in two small sections and attributed the problem to “mechanical staple failure.” Sadly, Plaintiff’s stomach contents had leaked into her abdominal cavity, causing sepsis, and her eventual death. Plaintiff’s Estate filed a wrongful death suit contending that the endocutter was unreasonably dangerous because it was not equipped with a means to either measure the thickness of the tissue being stapled or lock the device if the tissue thickness was incorrect. Plaintiff’s Estate contended that had the endocutter been designed with this capability, it would have prevented the staple line failure that caused Plaintiff’s death. 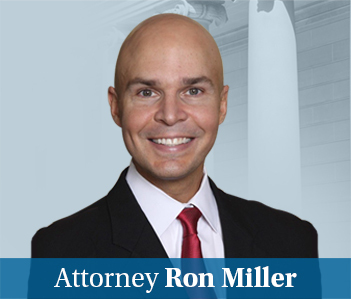 An Allegheny County, Pennsylvania jury agreed, finding the endocutter’s defective design caused the woman’s wrongful death and awarded $ 5 million, finding that the endocutter was defectively designed. The big issue in the case was the application of the risk/utility analysis required in a products liability action to determine whether a product is unreasonably dangerous. In this case, the endocutter at issue was marketed for multiple recognized uses, but the injury to the plaintiff was caused by only one of those uses. So the question is whether the trial court’s risk-utility analysis should be limited to the use that caused the plaintiff injury or should it consider all of the uses of the product. The Pennsylvania Supreme Court found that the risk-utility analysis in a strict liability design defect case must consider all of the risks, utilities and design constraints related to all intended uses by all intended users of the product, not just those related to one particular use, by one particular user, in one particular case. In terms of the appropriate focus of design defect risk-utility analysis, for many of the reasons identified by Appellee, we decline to limit it to a particular intended use. For better or worse, this Court’s decisions have relegated our trial courts in the unenviable position of “social philosopher” and “risk-utility economic analyst.” This having been done — and as the present case does not provide an appropriate opportunity for reconsideration of such assignment – we decline to require the trial courts to put on blinders. It should be enough to say that a product’s utility obviously may be enhanced by multi-functionality, so that it would be imprudent to deny trial courts the ability to assign some weight to this factor in assessing product design. The court claimed to be “sensitive to the difficulty faced by plaintiffs in proving product defect, especially when, as here, the instrument in issue has been destroyed by others.” But not so sensitive as to craft the law to make the hill reasonable to climb. Under this rule, plaintiffs bringing defective design products liability claims have to prove not only the use that caused the injury was unreasonably dangerous, but that every possible use of the product is unreasonably dangerous even when those uses are not implicated in the facts at issue. That’s a lot of work for plaintiff and defendant although I don’t think the defendants, who have lots of money to spend and hours to bill, really care. I really don’t understand why it makes a difference that the product can be used in a different way that might involve other risk-utility analysis. If you market the product for the purpose, that should be good enough. Theoretically, the manufacturer could jimmy up some other use for the product just to claim that it was safe for that use. It seems like an unnecessary distraction. But the court did not see it that way. In Maryland, in design defect cases, based on the lack of a safety device whose absence does not create an inherently unreasonable risk of harm, the risk/utility balancing test is applied to determine whether the product, marketed without the alleged necessary safety device, is unreasonably dangerous. The relevant inquiry is whether a manufacturer, knowing the risks inherent in the product, acted reasonably in putting it on the market. But that does not answer the question in this case of how to apply the test when the product has multiple uses.